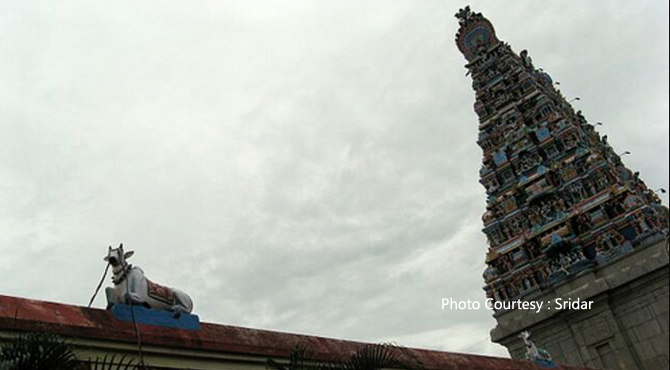 The temple is located near Karaikkal (5 km) on the bus route Karaikal-Mayiladuthurai and Kumbakonam. Tamil Nadu state transport corporation buses connect Karaikal with most of the cities in Tamil Nadu. The nearest domestic airport is the Tiruchirappalli Airport 163 km away. Domestic and few international flights operate from this airport. The nearest international airport is at Chennai (300 km). Pre-paid taxi is available from here to Karaikal. Kumbakonam, Nagoor or Mayiladuthurai are railway stations nearby.